Cassini image of Jupiter. Image credit: NASA/JPL/Space Science Institute. NASA today announced that a mission to fly to Jupiter will proceed to a preliminary design phase. The mission is called Juno, and it is the second in NASA's New Frontiers Program. The mission will conduct an in-depth study of the giant planet. 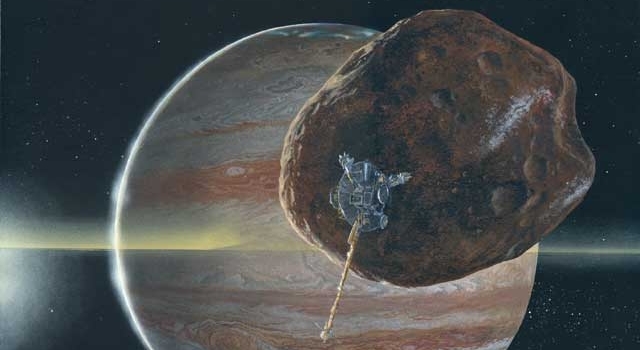 The mission proposes to place a spacecraft in a polar orbit around Jupiter to investigate the existence of an ice-rock core; determine the amount of global water and ammonia present in the atmosphere; study convection and deep wind profiles in the atmosphere; investigate the origin of the jovian magnetic field; and explore the polar magnetosphere. "We are excited at the prospect of the new scientific understanding and discoveries by Juno in our continued exploration of the outer reaches of our solar system during the next decade," said Dr. Ghassem Asrar, deputy associate administrator for NASA's Science Mission Directorate. At the end of the preliminary design study, the mission must pass a confirmation review that will address significant schedule, technical and cost risks before being confirmed for the development phase. Dr. Scott Bolton of Southwest Research Institute, San Antonio, Texas, is the principal investigator. NASA's Jet Propulsion Laboratory, Pasadena, Calif., will provide mission project management. Lockheed Martin Space Systems, Denver, will build the spacecraft. 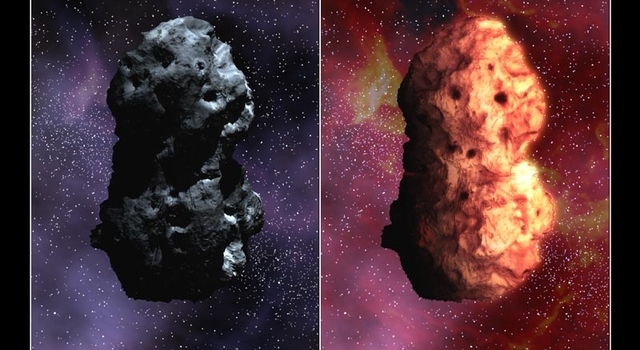 NASA selected two proposed mission concepts for study in July 2004 from seven submitted in February 2004 in response to an agency Announcement of Opportunity. "This was a very tough decision given the exciting and innovative nature of the two missions," Asrar added. The selected New Frontiers science mission must be ready for launch no later than June 30, 2010, within a mission cost cap of $700 million. For information about NASA's science programs on the Web, visit: http://science.hq.nasa.gov/. For information about NASA and agency programs on the Web, visit: http://www.nasa.gov/home/index.html.